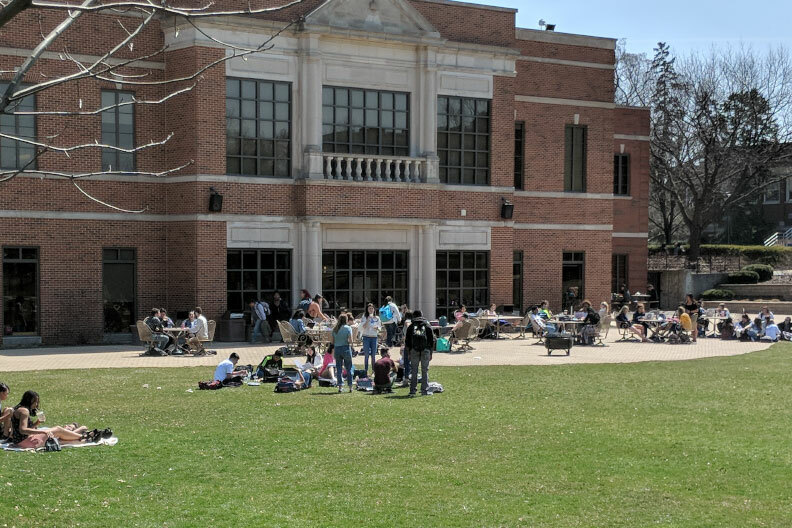 The Elmhurst College Summer Band soon will begin its second season of free outdoor concerts on the Elmhurst College Mall. The Summer Band is composed of students, faculty, local music teachers and community members, and performs a variety of music for the outdoor performances. James Hile will conduct the band, and Professor Emeritus Judy Grimes will be the guest conductor. Professor Gayle Bisesi will be a featured guest artist singing with the band. The first concert, “Music on the Mall,” is scheduled for Wednesday, June 13, and the second concert, “American Salute,” will be Wednesday, June 27. Both concerts begin at 7:00 p.m. and will be held behind the Frick Center on the Brune Patio. Community musicians are welcome to join the band. Rehearsals are every Monday and Wednesday beginning Monday, June 4, from 7:00 to 9:00 p.m. in Hammerschmidt Memorial Chapel. Three rehearsals will be held before each concert. Although it would be preferable for members to commit to the entire four-week season, it is possible to only participate in either the first two-week session or in the second two-week session. Community members who are interested in performing with the Elmhurst College Summer Band should contact the Band Office at (630) 617-3520 or email Hile at james.hile@elmhurst.edu.